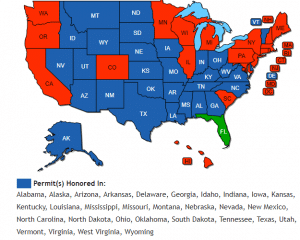 Florida Concealed Handgun License is recognized in the following States: Alabama, Alaska, Arizona, Arkansas, Delaware, Florida, Georgia, Idaho, Indiana, Iowa, Kansas, Kentucky, Louisiana, Mississippi, Missouri, Montana, Nebraska, New Mexico, North Carolina, North Dakota, Ohio, Oklahoma, South Dakota, Tennessee, Texas, Utah, Vermont, Virginia, West Virginia, and Wyoming. Florida is a “shall issue” State which means that the Florida Department of Agriculture and Consumer Services has 60 days from the time of application to issue the license. The Concealed Handgun License is issued to both residents and non-residents. 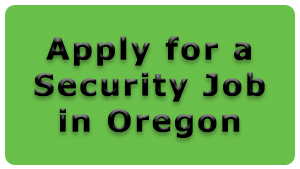 The application requirements are that the applicant be at least 21 years of age, have no felony convictions, and no misdemeanor convictions regarding crimes of violence. Laws regarding use of force are covered under Title 46 Chapter 776 of the Florida Statutes. Applications for the Florida Concealed Handgun License can be submitted by mail for non-residents after completing a Concealed Firearms Safety Course. 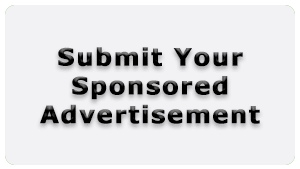 The application fee is $117.00 made payable to the Florida Department of Agriculture and Consumer Services. The renewal fee is $107.00 and needs to be submitted by mail every 7 years. Florida Department of Agriculture and Consumer Services needs to be notified within 30 days of an address change by mail. Applicants are required to provide a photo copy of a valid Driver’s License and Concealed Handgun License from the State of residency. Application, Fee’s, and a fingerprint card completed by a fingerprint technician also needs to be submitted. One 2”x2” passport photo with the applicants name printed on the back of the photo is required. 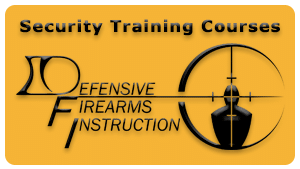 The Florida Concealed handgun License paperwork can be received by completing the Defensive Firearms Instruction Oregon Concealed Handgun Live Fire Course or Oregon Concealed Handgun Lecture Course.